Buy new Honda Headlights and Fog Lights for your Vehicle, K2 Motor Offers Free Shipping on all Headlights and Foglights. 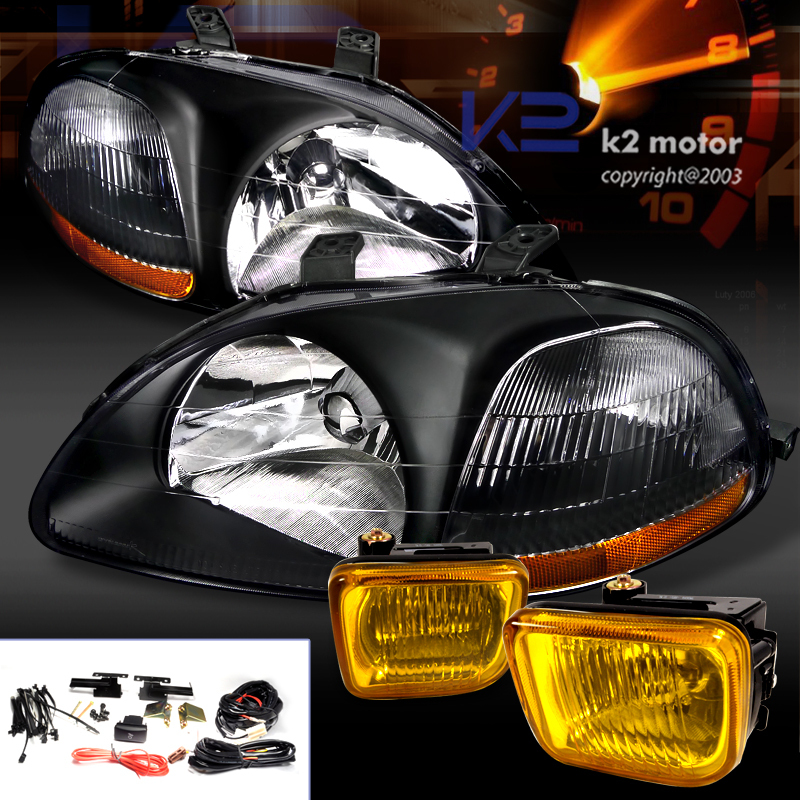 Brand new 4PC COMBO: 96-98 Honda Civic Black Euro Headlights w/ Yellow Fog Lights! Upgrade your vehicle with the lates Euro Look and Make your Vehicle Unique with This Combo. 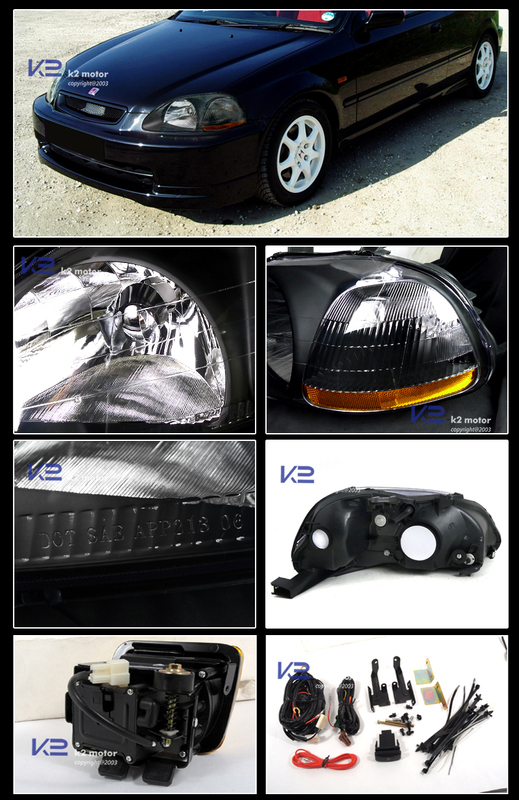 All Headlights are Direct Fitment with No Modifications Required. If you are Unsure about installation, we Strongly Recommend Consulting a Body Shop for Professional Installation.